During the past year, the government of Iran engaged in systematic, ongoing, and egregious violations of religious freedom, including prolonged detention, torture, and executions based primarily or entirely upon the religion of the accused. Severe violations targeting religious minorities—especially Baha’is, Christian converts, and Sunni Muslims—continued unabated. Sufi Muslims and dissenting Shi’a Muslims also faced harassment, arrests, and imprisonment. Since President Hassan Rouhani was elected in 2013, the number of individuals from religious minority communities who are in prison because of their beliefs has increased, despite the government releasing some religious prisoners of conscience during the reporting period. While Iran’s clerical establishment continued to express anti-Semitic sentiments, the level of anti-Semitic rhetoric from government officials has diminished during President Rouhani’s tenure. Since 1999, the State Department has designated Iran as a “country of particular concern,” or CPC, under the International Religious Freedom Act (IRFA), most recently in October 2016. USCIRF again recommends in 2017 that Iran be designated a CPC. Reauthorize the Lautenberg Amendment, which aids persecuted Iranian religious minorities and other specified groups seeking refugee status in the United States, and work to provide the president with permanent authority to designate as refugees specifically defined groups based on shared characteristics identifying them as targets for persecution on account of race, religion, nationality, membership in a particular social group, or political opinion. Over the past few years, the Iranian government has imposed harsh prison sentences on prominent reformers from the Shi’a majority community. Authorities charged many of these reformers with “insulting Islam,” criticizing the Islamic Republic, and publishing materials that allegedly deviate from Islamic standards. Dissident Shi’a cleric Ayatollah Mohammad Kazemeni Boroujerdi continued to serve an 11-year prison sentence, and the government has banned him from practicing his clerical duties and has confiscated his home and belongings. He has suffered physical and mental abuse while in prison. According to human rights groups and the United Nations (UN), at least 120 Sunni Muslims are in prison on charges related to their beliefs and religious activities. In August 2016, approximately 22 Sunni Muslims were executed for “enmity against God,” including Sunni cleric Shahram Ahmadi, who was arrested in 2009 on unfounded security-related charges and reportedly forced to make a false confession. Several other Sunni Muslims are on death row after having been convicted of “enmity against God” in unfair judicial proceedings. Leaders from the Sunni community have been unable to build a mosque in Tehran and have reported widespread abuses and restrictions on their religious practice, including detention and harassment of clerics and bans on Sunni teachings in public schools. Additionally, Iranian authorities have destroyed Sunni religious literature and mosques in eastern Iran. Sufi followers who focus on the spiritual and mystical elements within Islam—are targeted on the basis of non-conformity to the state’s official interpretation of Islam. Members of the Nematollahi Gonabadi Sufi order continue to face a range of abuses, including attacks on their prayer centers and husseiniyas (meeting halls); destruction of community cemeteries; and harassment, arrests, and physical assaults of their leaders. Over the past year, authorities have detained dozens of Sufis, sentencing many to imprisonment, fines, and floggings. In November 2016, five members were charged with “insulting the sacred” and “insulting senior officials,” among other charges; their case is ongoing. Nearly 20 Sufi activists were either serving prison terms or had cases pending against them. Iranian state television regularly airs programs demonizing Sufism. The government views Baha’is as “heretics,” and consequently they face repression on the grounds of apostasy. 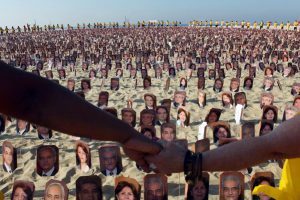 Since 1979, authorities have killed or executed more than 200 Baha’i leaders, and more than 10,000 have been dismissed from government and university jobs. Over the past 10 years, nearly 1,000 Baha’is have been arbitrarily arrested. As of February 2017, at least 90 Baha’is were being held in prison solely because of their religious beliefs. These include seven Baha’i leaders—Fariba Kamalabadi, Jamaloddin Khanjani, Afif Naemi, Saeid Rezaie, Mahvash Sabet, Behrouz Tavakkoli, and Vahid Tizfahm. During the past year, dozens of Baha’is were arrested throughout the country. For example, in September 2016, approximately 14 Baha’is were arrested in Shiraz and Karaj for their religious beliefs. 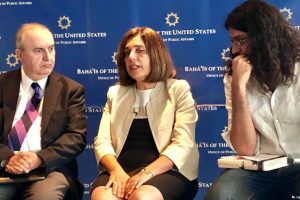 In July 2016, five Baha’is were arrested in Shiraz and government agents raided private homes and seized personal computers and other materials. In January 2016, in Golestan Province, 24 Baha’is were sentenced to prison terms ranging from six to 11 years after being convicted for “illegal” membership in the Baha’i community and engaging in religious activities. In recent years, Iranian government officials have undertaken a campaign to shutter Baha’i-owned businesses whenever the community observed its religious holidays. For example, in November 2016, at least 124 Baha’i-owned business in the provinces of Mazandaran, Alborz, Hormozgan, and Kerman were closed by authorities following the community’s observance of two Baha’i holy days. In June 2016, in Urumia, West Azerbaijan Province, at least 25 Baha’i-owned shops were shut down without explanation by authorities; this also followed the observance of a Baha’i holy day. Although the Iranian government maintains publicly that Baha’is are free to attend university, the de facto policy of preventing Baha’is from obtaining higher education remains in effect. In recent years, many Baha’i youth who scored very high on standardized tests were either denied entry into university or expelled during the academic year once their religious identity became known to education officials. During the past year, hundreds of pro-government media articles continued to appear online and in print inciting religious hatred and encouraging violence against Baha’is after various sermons of prayer leaders were delivered. In June 2016, the UN Special Rapporteurs on the situation of human rights in Iran and on freedom of religion or belief expressed serious concern about incidents of incitement against the Baha’i community, noting that they could encourage acts of violence against Baha’is. In September 2016, Baha’i Farhang Amiri was stabbed to death by two men outside of his home in Yazd; the two men later reportedly confessed, saying they killed him because he was an apostate and they wanted to go to heaven. At the end of the reporting period, an investigation was ongoing. Since 2010, authorities arbitrarily have arrested and detained more than 600 Christians throughout the country. 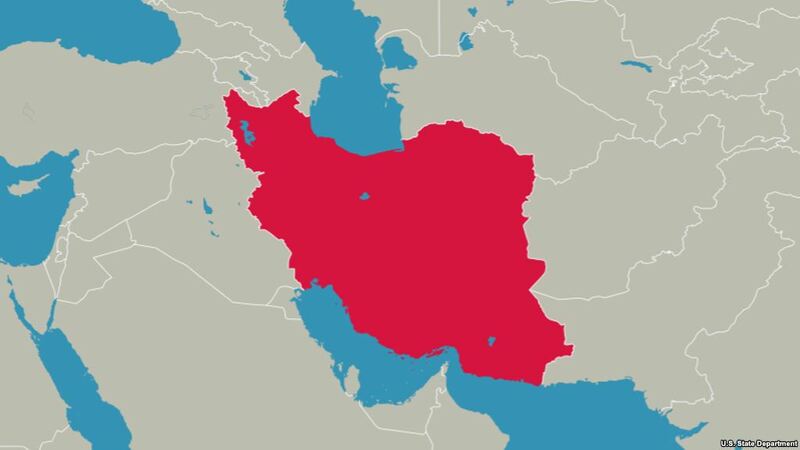 Over the past year, there were numerous incidents of Iranian authorities raiding church services, threatening church members, and arresting and imprisoning worshipers and church leaders, particularly Evangelical Christian converts. According to reports, nearly 80 Christians were arrested between May and August 2016; the majority were interrogated and released within days, but some were held without charge for months, and several remain in detention. As of December 2016, approximately 90 Christians were in prison, detained, or awaiting trial because of their religious beliefs and activities. Christian leaders of house churches were the particular focus of Iranian authorities, and often were charged with unfounded national-security-related crimes. In May 2016, four Christian converts from Rasht—Yousef Nadarkhani, Yaser Mosibzadeh, Saheb Fadayee, and Mohammed Reza Omidi—were arrested and charged with acting against national security because of their activity in the house church movement; each could face up to six years in prison. Nadarkhani previously served several years in prison on an apostasy conviction until his release in 2013. The other three men—who remain in detention—were charged with drinking alcohol and are appealing their sentences of 80 lashes each. In December 2016, Maryam Naghash Zargaran, a Christian convert from Islam, had her four-year sentence extended at least six weeks because of time she spent outside of prison for medical care during the summer of 2016. During the year, she undertook two hunger strikes to protest being denied treatment for her chronic health problems. She was arrested in January 2013 and later convicted of “propaganda against the Islamic regime and collusion intended to harm national security” in connection with her work at an orphanage alongside Iranian-American Christian pastor Saeed Abedini, who was released from prison in January 2016 as part of a prisoner swap between the United States and Iran. Pastor Abedini had been serving an eight-year prison sentence for “threatening the national security of Iran” for his activity in the house church movement. In addition, in October 2016, Christian pastor Behnam Irani was released from prison after serving a six-year sentence for religious activities. During the year, there was an increase of anti-Christian sentiment in government-controlled and progovernment media outlets, as well as a proliferation of anti-Christian publications online and in print throughout Iran. Although the vitriolic sentiment was not as pronounced as in previous years, the government continued to propagate anti-Semitism and target members of the Jewish community on the basis of real or perceived “ties to Israel.” In 2016, high-level clerics continued to make anti-Semitic remarks in mosques. Numerous programs broadcast on state-run television advance anti-Semitic messages. In May 2016, the Iranian government sponsored a cartoon contest on the Holocaust. Discrimination against Jews continues to be pervasive, fostering a threatening atmosphere for the Jewish community. In recent years, members of the Zoroastrian community have come under increasing repression and discrimination. At least two Zoroastrians convicted in 2011 for propagating their faith, blasphemy, and other trumped-up charges remain in prison. While the Iranian government considers followers of the Yarsan faith as Shi’a Muslims who practice Sufism, members identify as a distinct and separate religion (also known as Ahle-Haqq or People of Truth). In June 2016, leaders of the Yarsan faith wrote to the Iranian government asking for a constitutional amendment that would prohibit discrimination against them and would recognize the community as a religious minority; reportedly, the Iranian government responded by stating it already respects their religious beliefs and citizenship rights. Iranian authorities regularly detain and harass journalists, bloggers, and human rights defenders who criticize the Islamic revolution or the Iranian government. Over the past few years, a number of human rights lawyers who defended Baha’is and Christians in court were imprisoned or fled the country for fear of arrest or prosecution. Despite having completed a five-year prison term, Mohammad Ali Taheri, a university professor and founder of a spiritual movement (Erfan Halgheh or Spiritual Circle), remains in detention; there have been reports that after a hunger strike in October 2016, Taheri fell into a coma. At the end of the reporting period, his whereabouts were unknown. In 2011, Taheri was convicted and sentenced to five years in prison and 74 lashes for “insulting religious sanctities” for publishing several books on spirituality. Some of Taheri’s followers also were convicted on similar charges and sentenced to prison terms ranging from one to five years. In July 2015, in a separate trial, Taheri was sentenced to death for “spreading corruption on earth;” in December 2015, the Iranian Supreme Court overturned Taheri’s death sentence. The government’s enforcement of its official interpretation of Shi’a Islam negatively affects the human rights of women in Iran, including their freedoms of movement, association, thought, conscience, and religion or belief, as well as freedom from coercion in matters of religion or belief. The Iranian justice system does not grant women the same legal status as men. For example, testimony by a man is equivalent to the testimony of two women, and civil and penal code provisions, in particular those dealing with personal status and property law, discriminate against women. During the reporting period, Iranian authorities continued their enforcement of the strict dress code for women. In 2016, Iranian authorities announced that in addition to the uniformed “morality police,” they would add an additional 7,000 undercover Gashte Ershad (Guidance Patrol) officers with broad powers to punish and even arrest people for failing to meet modesty norms. By law, Iranian women, regardless of their religious affiliation or belief, must be covered from head to foot while in public. Social interaction between unrelated men and women is banned, and the morality police continued throughout the country to stop cars with young men and women inside to question their relationship. The U.S. government has not had formal diplomatic relations with the government of Iran since 1980, although the United States participated in negotiations with Iran over the country’s nuclear program as part of the group of countries known as the P5+1 (China, France, Russia, the United Kingdom, the United States, and Germany). In July 2015, the P5+1, the European Union, and Iran announced they had reached the Joint Comprehensive Plan of Action (JCPOA) to ensure that Iran’s nuclear program would be exclusively peaceful. In January 2016, the UN, United States, and European Union began lifting nuclear-related sanctions on Iran, and they continue to monitor Iran’s compliance with the agreement. Notwithstanding the JCPOA, the United States continues to keep in place and enforce sanctions for Iran’s human rights violations, its support for terrorism, and its ballistic missile program. On July 1, 2010, then President Barack Obama signed into law the Comprehensive Iran Sanctions, Accountability, and Divestment Act (CISADA), which highlights Iran’s serious human rights violations, including suppression of religious freedom. CISADA, P.L. 111-195, requires the president to submit to Congress a list of Iranian government officials or persons acting on their behalf responsible for human rights and religious freedom abuses, bars their entry into the United States, and freezes their assets. In August 2012, then President Obama signed into law the Iran Threat Reduction and Syria Human Rights Act (ITRSHRA) of 2012, P.L. 112-239, which enhances the scope of human rights-related sanctions contained in CISADA. Over the past six years, as a consequence of Iran’s human rights violations, the United States has imposed visa restrictions and asset freezes on 19 Iranian officials and 18 Iranian entities pursuant to CISADA, ITRSHRA, and various executive orders. Nevertheless, no new officials or entities were sanctioned for human rights or religious freedom abuses during the reporting period. In recent years, U.S. policy on human rights and religious freedom in Iran included a combination of public statements, multilateral activity, and the imposition of unilateral sanctions on Iranian government officials and entities for human rights violations. During the reporting period, high-level U.S. officials in multilateral fora and through public statements urged the Iranian government to respect its citizens’ human rights, including the right to religious freedom. In December 2016, for the 14th year in a row, the U.S. government cosponsored and supported a successful UN General Assembly resolution on human rights in Iran, which passed 85 to 35, with 63 abstentions. The resolution condemned the Iranian government’s poor human rights record, including its religious freedom violations and continued abuses targeting religious minorities. On January 16, 2016, the Obama Administration announced it had secured the release from jail of Iranian-American Pastor Abedini and three other Americans, in exchange for the release of seven Iranians in prison in the United States. Pastor Abedini and the other three Americans returned to the United States later that month. On October 31, 2016, the secretary of state re-designated Iran as a CPC. The secretary designated the following presidential action for Iran: “The existing ongoing travel restrictions based on serious human rights abuses under section 221(a)(1)(C) of the Iran Threat Reduction and Syria Human Rights Act of 2012, pursuant to section 402(c)(5) of the Act.” A previous designation made in 2011 cited a provision under CISADA as the presidential action. Unlike CISADA, ITRSHRA does not contain a specific provision citing religious freedom violations.